Fashion is deeply woven into the subconscious of India, says fashion designer Gaurav Gupta Couture is about customisation, a personal touch and understanding the need of the customer. It is only in India that we do so much customisation. Fashion in India is young, just 30 years old; whereas it is more than 200 years old in Europe. Fashion is deeply woven into the subconscious of India, Gaurav Gupta said. Today’s fashion-conscious customer are eager to explore, to go out and look for their personality in the clothes. 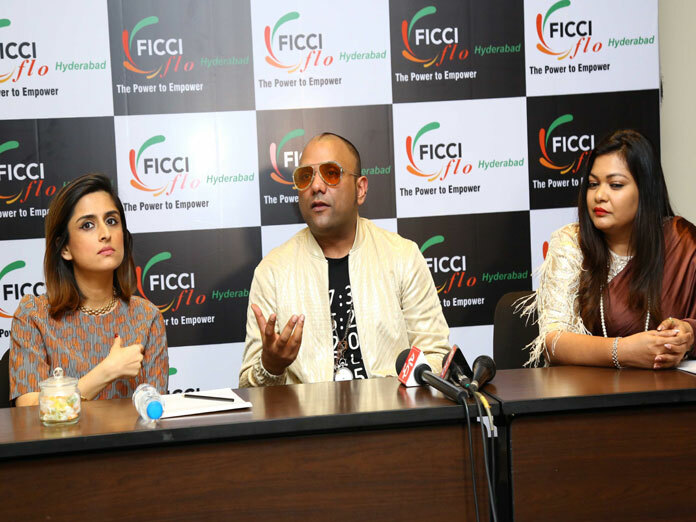 He was speaking at an interactive session ‘Future of Couture’ with Priyanka Khanna, fashion features editor, Vogue India organised by FICCI FLO in Hyderabad recently. About 300 women entrepreneurs from various businesses and professionals participated in the interactive session. Fashion industry is very glamorous from outside but there is a lot of hard work involved said Gaurav Gupta, fashion designer. “A designer has to do designing and styling, and look after merchandising, marketing, production, business strategy, etc. Fashion is a beautiful and growing industry,” he said.“When I started work here in India, I was making extremely avant-garde clothes, but sales were not happening. It was so shocking for me. So much cultural shift happened inside me. My designs were too conceptual; I was making traditional lehengas and sarees. Then a personal evolution happened for me. Now my designs are innovative, experimental and progressive,” Gaurav Gupta said. Elaborating on his journey in the world of fashion, Gaurav Gupta reminisced about the design of sarees. “It was in the year 2010 that we introduced the saree gowns, then zip-up sarees, then saree-lehanga gown. I think saree is the only surviving costume in India for thousands of years. You don’t see people wearing kimonos in Japan, but the saree is worn daily even now,” he said.Speaking about designing for weddings, Gaurav Gupta said, “Senior designers are getting into wedding sector. Asked about the modern bride and her choices. The bride is ready to take the risks, ready to take the extra step. And the Indian weddings are getting smaller, intimate and subverting traditions. Individuality is coming back to weddings.” “The lehanga is no longer just a lehanga today, the saree is not a mere saree. It is changing today. There is a cultural shift. The future is now, the future is individualisation. The future is very personalised, custom-made,” concluded Gaurav.